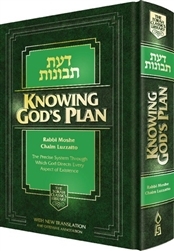 Da'as Tevunos was written by Rabbi Moshe Chaim Luzzatto (RaMCHaL) the author of the Mesilas Yesharim (Path of the Just). It is considered by many to be his most important work. It deals with fundamental questions like the existence of good and evil, Divine justice and the Messianic era. It is a profound work with an unparalleled ability to strengthen a person’s faith giving him a clear understanding of how G-d directs the events of the world and what He wants from us. It is a book that can totally transform a person’s life. 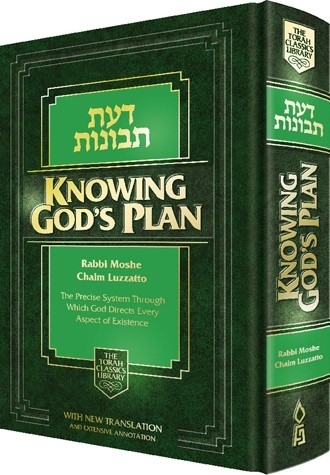 This classic work explains how G-d created the universe and continuously maintains its existence; how He runs every single detail of this world of good and evil, guiding it inevitably toward perfection; and His special relationship with the Jewish people and how He will redeem and return His presence to rest among them. Features a new, flowing, readable translation, with extensive notes, a topical index and helpful summaries throughout.